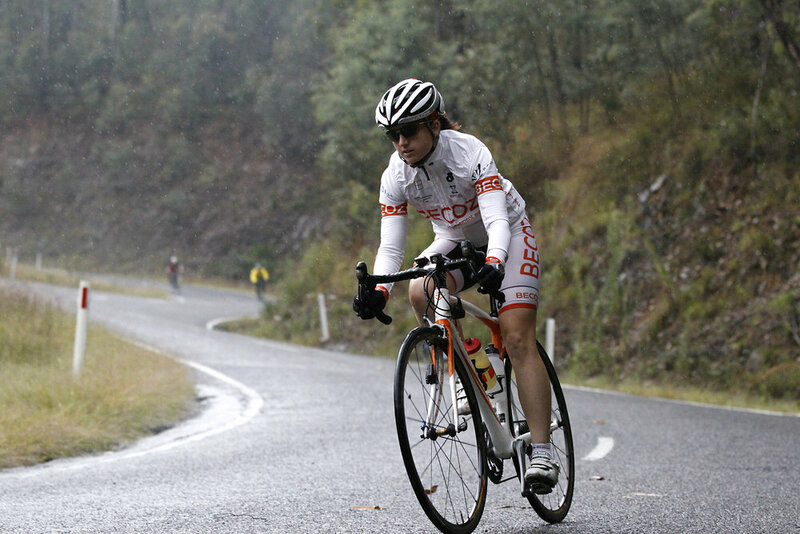 Peaks Challenge Falls Creek turns 10 - LA VELOCITA. Ten years is a big deal. It's a long time. Only good things last ten years, things that miss the mark don't. To successfully negotiate a decade you need to evolve, reshape and clearly define yourself. That's why it's worth reflecting about Bicycle Network's Peaks Challenge Falls Creek and what has made it reach the big one-zero. 10 years ago I was ten years younger, yes, a slightly obvious statement but hang with me here. I knew less, much less.... about pretty much everything. I was doing the best I could at the time, but when I look back it was amateur hour. It's obvious now, but over the last ten years I've sorted out alot of bumps, faced physical and mental challenges, been angry and sad, had a few accidents and seen friends come and go. I've learned what works and what doesn't, I've learned to be better, more responsible and considerate and to improve both mine and others life experience. Of course, none of these things changes overnight, it has taken hard work, risk, self-reflection and has allowed me to evolve. Yes, I've still got loads to learn but things would be boring if they always stayed the same. When I roll back the clock to 2010, I'm pretty sure I was just breaking into my first iPhone (3G second generation) and trying to work out how I could possibly use a phone with no keypad. Strava had just landed, but I did not have a bike computer that could handle it. Going for a ride meant making sure the magnet was still on my front spokes and that I had done the best job possible of getting a wire from my front fork to my handlebars. Cycling kit choices were limited at best. Rapha was around, Assos was an ever solid option, plus of course various Italian brands. Alot of people rolled in pro-cycling kit copies. Bad weather kit was still pretty bad if we're honest and while I think bikes were good, there was still plenty of aluminium around the traps and bikes were not quite what they are today. 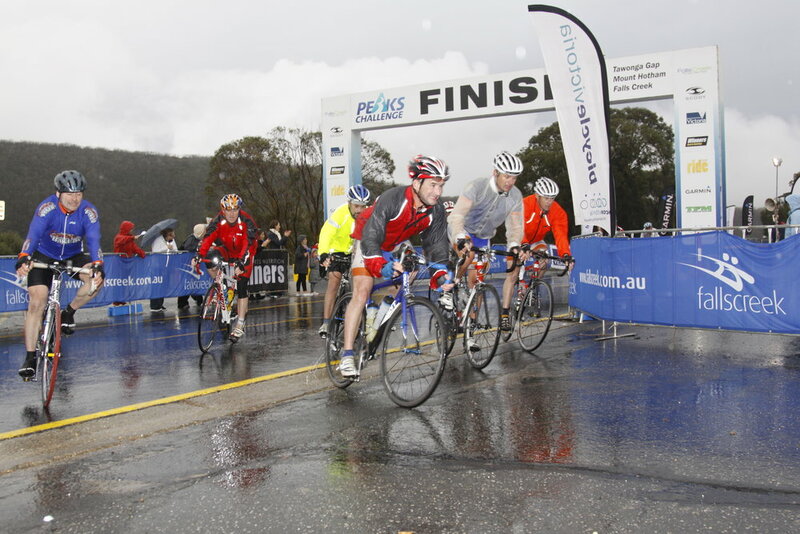 It's also the first time I heard about a new event, Peaks Challenge Falls Creek.... or 3 Peaks as it was known then. In 2010 the '3 Peaks Challenge' was pretty much unrivalled in difficulty as far as mass participation rides went. To make the brutal route that much more memorable the first 3 Peaks was smashed by freezing weather and rain. Not ideal, but it set the event up as one for the tough riders. The route took on Mt Hotham, Tawonga Gap and the back of Falls. A solid ride. Despite the success of the ride, Police declined to support the 2011 ride and supporters fell away. Lucky for us, Bicycle Network pushed on and ran 3 Peaks. Cycling blogs started comparing the ride to Grand Tour stages and over 1,000 riders rolled up to take on the 235km and 4,000m vert. The day was wet again and only the stong made it around the loop. Now 3 Peaks was really setting itself out as a ride to be respected. Between 2011 and 2012 various groups protested against Peaks, trying to get the ride shut down. To combat this some significant changes were made, the half distance ride was removed, cut-off times introduced and the lantern rouge appeared for the first time. In addition, official wave leaders arrived, roads were closed, entrants were provided with training packages and timing of climbs was introduced. The event was a massive success, this time with blue skies (that may have disappointed some!) and the Police on board. 3 years old and still rolling. Early 2013 was devastating for the region. I remember sitting in Bright in late January being surrounded by smoke from massive bushfires in the region, I talked to locals that had to literally run for their lives from their houses with only what they could carry. It was a surreal experience. 3 Peaks managed to go ahead adopting a varied route and bringing a much-needed tourism into the area. 3 Peaks Ovens Vally route due to bushfires - still 235km and 4,000m+ vert and super hard. By 2014 3 Peaks was the ride to do if you really wanted to test yourself. With a maximum field size the ride sold out in just a week or two and a secondary market for entries started opening up as people realised just how hard the ride was and backed out. 2014 did not disappoint, with the region turning on brillaint weather and a group of riders that had prepared for the 235km circuit. Average rider times started to fall and Steve Cunningham completed the course in just 7 hours 35 minutes. In other awesome news, women increased their participation to 11% from 5% the prior year. After a cracking 2014 ride where 3 Peaks officially entered the top 10 rides in the world, 2015 bought even more improvements. Half of the courses route was closed to cars, more support was added. People started really aiming for a time on the ride and riders preparation upped again. Finisher jerseys denoted if you were a sub-10 hour rider and were rewarded for all the preparation it took to get around the course in that time. I remember a non-rider mate asking me about the ride... when I mentioned 235km his first response was, 'thats a long drive in that area... let alone ride'. 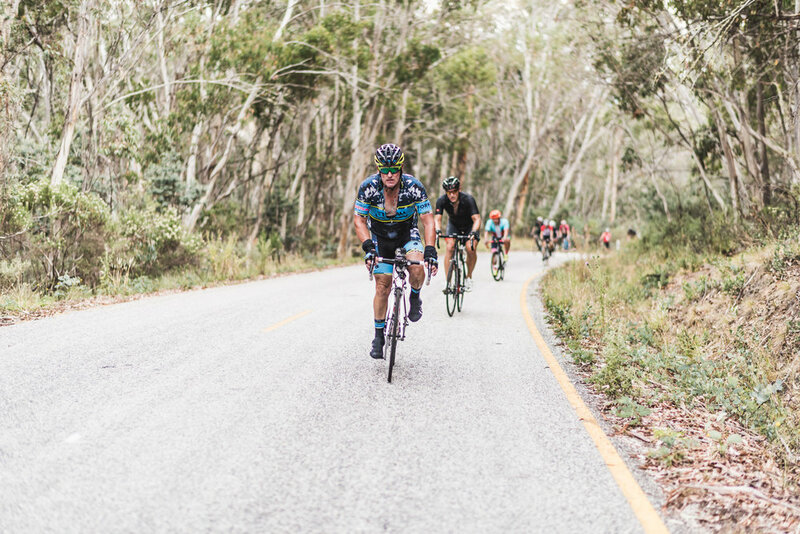 In 2016, the now 'Peaks Challenge Falls Creek' introduced more ride leaders and celebrated the 10,000th finisher. More riders were going under 8 hours and many more under the 10-hour mark. Overall cycling participation was now getting serious momentum, bikes had improved massively from only a few years prior and kit options made the field as well prepared as possible. Riders with limited experience were managing the ride with support. The atmosphere in Falls Creek was up there and excitement was huge. Despite the introduction of multiple Fondo style rides, Peaks Challenge survived on the back of a great reputation for toughness and reward. 2017 marked another great year for the ride, although a high non-finisher rate showed that the ride was not being taken seriously enough by some and training was critical. The ride was well known but the difficulty was perhaps not respected enough. Still, this perhaps created a newfound respect for many and hundreds of riders had an amazing experience. Less than a year ago 2018 was a success with Lee 'Hollywood' Turner providing some awesome words of advice for the crew taking on the ride. Near perfect conditions so the ride returning to former glory and riders young and old taking on the event. 10 years old in 2019, I'm sure we'll see new introductions, cracking riding and a nice mix of smiles and grimices. If you've completed Peaks Challenge Falls Creek before it's time to come back, if you've never ridden it, start training soon! So, just like me, Peaks is ten years older. Bicycle Network has survived the lows and celebrated the highs. They've made constant improvements and tried new things, there has been breakthroughs in participation rates and increases in cyclists, even the technology and phots have improved. I'm thinking the tenth birthday is going to bring some pretty big celebrations. Head over and check out the celebration at the official Peaks Challenge site HERE, Hopefully, I'll see you there on 10 March 2019. I'm not interested in standing still. Challenge yourself. Don't be afraid of failing. Today it’s all about the heros. I was lucky enough to ride with one of my all time heros. The almighty Jens Voigt. Shut up legs.